This year, I figured I would try something different after reading positive backpack reviews about the Under Armour Hustle Storm. I was particularly drawn by the waterproofing features and the Under Armor brand, which I figured would look good in the gym. 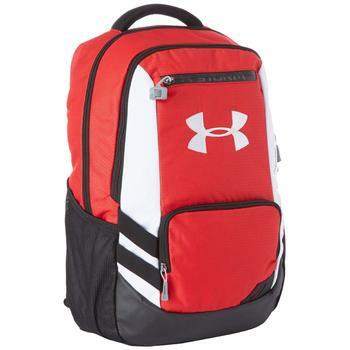 As an athlete on-campus, it was important to me that the backpack was breathable so that clothes inside wouldn’t get too smelly after leaving them in there for a few days. With a laundry pocket, I was able to put these clothes there and keep them away from clean clothes. During my experience with the product, I also successfully used it for carrying books while on-campus. In this review, I will explain my experience with the Under Armour Hustle Storm and attempt to offer an impartial overview of my thoughts on the product. 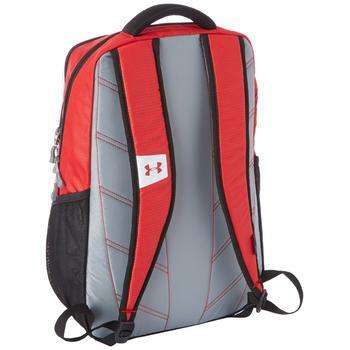 While this backpack is designed for athletes, it is versatile enough to be useful for a wide range of campus activities. The backpack has enough room to store about four college textbooks, which was more than enough for my uses. 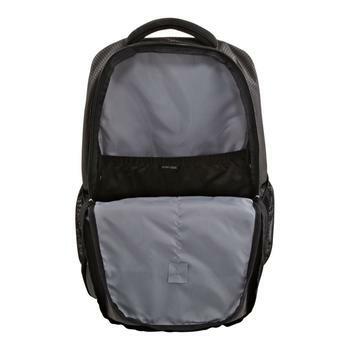 When shopping for the best college backpacks, always keep in mind having a specialized compartment for a laptop. But I have to say that different individuals have different expectation. If you have an expensive investment such as Macbook Pro and you want the best protection for it, you may want to check out the best backpacks designed for maximum laptop protection instead. I was able to fit my Macbook snugly into the 15″ laptop compartment, which I suppose others could use for additional products like a tablet or even smartphone. It is nice to have this extra storage space since I’m always afraid that the books in my backpack are going to break my fragile electronics. The backpack has space for two water bottles and has a handle on the top the makes it easier to maneuver in the gym. The backpack is composed almost entirely of polyester that is designed to give the backpack extra strength and help with waterproofing. 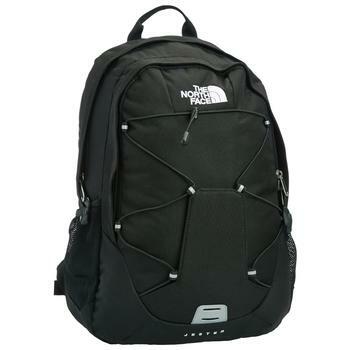 One of the best advantages of this backpack in my opinion is its outstanding visual appearance. The nice textures, large Under Armor logo, and contrasting colors make it very pleasing to the eye. I also really liked how the product is very breathable for gym clothes. Before getting this backpack, I used a standard backpack that would often leave my clothes smelling really bad after neglecting to clean them for a couple days. With this backpack, this is no longer a problem and I’m able to cut down laundromat trips to just once a week. 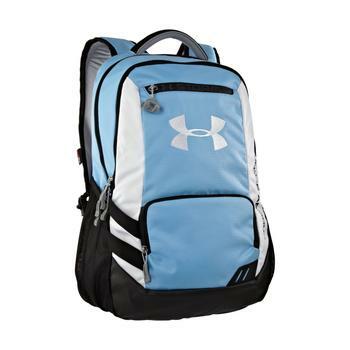 I also have to agree with other backpack reviews that this product is appropriate for most uses around campus. Whether spending time in the gym or just going to class, this backpack offered everything that I needed. One disadvantage of this product is that it might not have enough storage space for those that want to carry everything with them while on-campus. 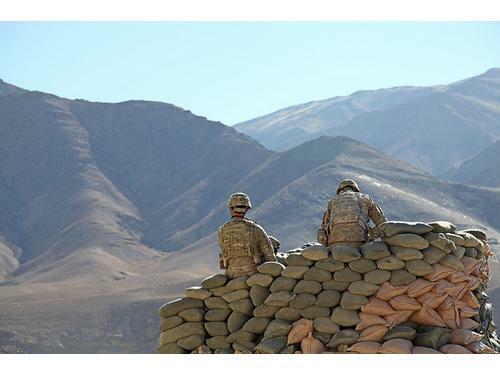 While the backpack is appropriate for those that are willing to return to their dorm room, it might not have enough space to carry everything at once. 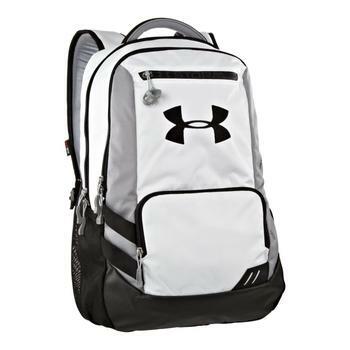 Even for those that plan to use the backpack exclusively for gym use, it might not have enough space for those who play sports that require additional equipment. I have seen backpack reviews by football players who say that the bag doesn’t have room for helmets and pads. It would be nice to see extra space, although the best backpacks for college don’t necessarily need to be massive. Overall, I was quite satisfied with the Under Armour Hustle Storm despite some of its shortcomings. Some backpack reviews for the product seem to indicate that it should have more space, but I have to disagree. In my opinion, the best backpacks for college should be of moderate size, since few need to carry everything with them. 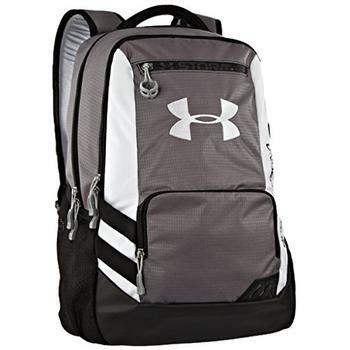 This backpack is appropriate for college students that either visit the gym causally or just need a stylish bag for use on-campus. While the backpack worked well for my uses, I will leave it up to you to decide whether this is the best backpack for your need and preference.